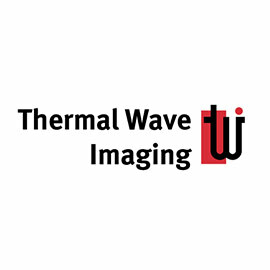 The National Center for Manufacturing Sciences (NCMS) and the Office of the Secretary of Defense for Maintenance Policy and Programs (MPP) are pleased to announce Thermal Wave Imaging, Inc. (TWI) as the winner of the 2017 Commercial Technologies for Maintenance Activities (CTMA) Competition. TWI’s winning submission, the Large-Standoff Large-Area Thermography (LASLAT) system, submitted by Project Engineer Maria Beemer and TWI President Dr. Steven Shepard, addresses the challenges in performing nondestructive inspection on large composite aircraft structures, where sub-surface flaws that may compromise structural integrity are difficult to detect using conventional methods. 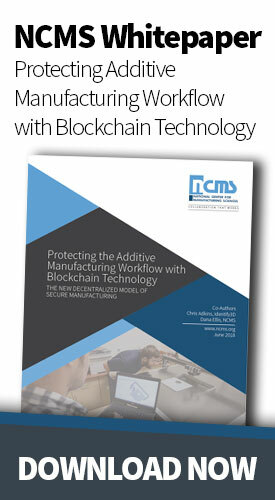 The award, presented at the 2017 CTMA Annual Partners meeting in Salt Lake City on April 5, 2017, includes $125,000 to the company and one year of project management by NCMS to accelerate commercialization of the technology. TWI was awarded 1st place from a field of 57 entrants. 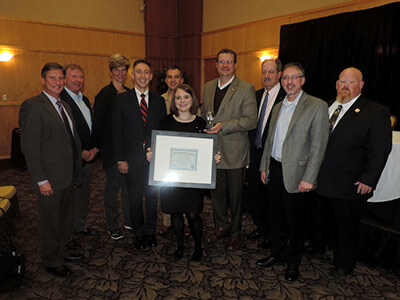 Six finalists, including 4D Technology, Concurrent Technologies Corporation, Eastern Michigan University, Fabrisonic, and Ridgetop Group, Inc., were invited to Salt Lake City to present a brief overview of their technology, followed by questions by judges during a “Shark Tank” session. 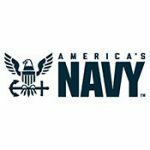 Judges were composed of industry and DoD leadership including: OSD Maintenance, U.S. Navy – Joint Staff, NAVSEA, U.S. Air Force, Air Force Materiel Command, NCMS, Army Materiel Command, and Dassault. Located in Ferndale, MI, TWI is an NCMS member company, and the world leader in development and manufacture of Thermographic Non-Destructive Testing (TNDT) systems, used for Quality Assurance (QA) and manufacturing process control in the aerospace, power generation, and automotive industries. TWI solutions, ranging from low-cost, hand-held instruments to fully automated large-scale systems, serve as a platform for customers to increase manufacturing efficiencies, reduce cost and build safer, more robust end products. TWI’s long-standing commitment to innovation has been demonstrated in numerous SBIR, STTR, and BAA contracts that include 3 SBIR Success Stories and internal R&D that has generated 22 patents. Successful transition of TWI technology to the marketplace has led to several game-changing products including: VoyageIR, the first high-performance handheld thermographic inspection system; the TAFIS system for automated detection of blockages in turbine engine components; and the Thermographic Signal Reconstruction (TSR) method, for which, TWI received the 2014 ASNT Research Innovation Award. TWI products and technologies have become the worldwide standard of excellence in thermography, and are used in the most demanding applications by the world’s largest companies and laboratories. Whether analyzing advanced materials for space vehicles, performing quality assurance on aircraft turbine blades or speeding up routine aircraft maintenance, TWI solutions address the full spectrum of NDT applications.